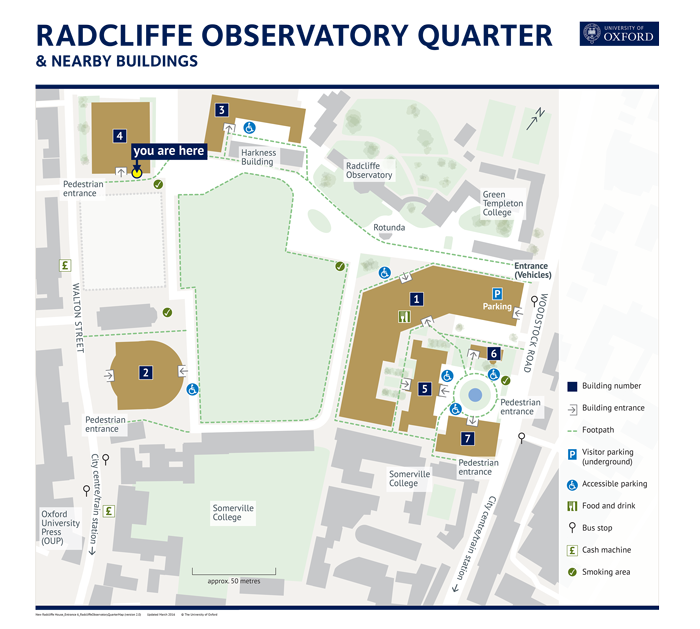 New wayfinding maps for the redeveloped Radcliffe Observatory Quarter (ROQ) at Oxford University. 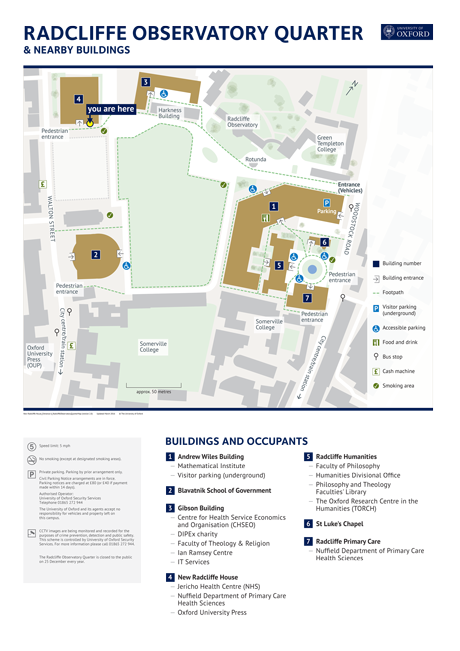 The maps extend the series style I developed for the University’s new print maps. 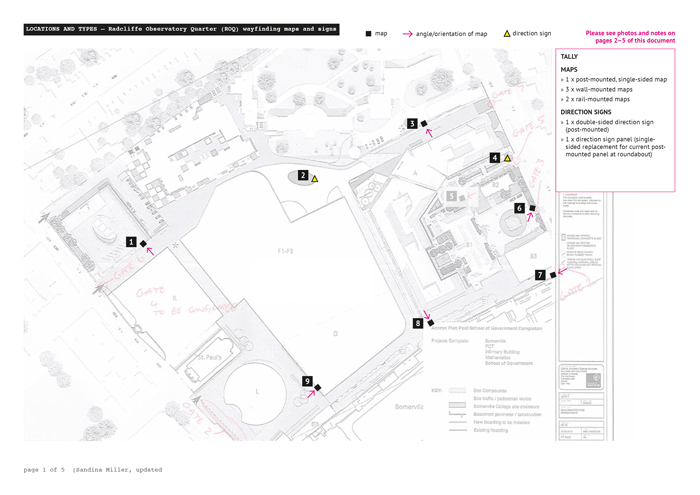 Work involved site audits to recommend map positions and supporting signage. The maps were all redrawn to show the site and its immediate area. There are two sizes: large (A1) and small (A4). 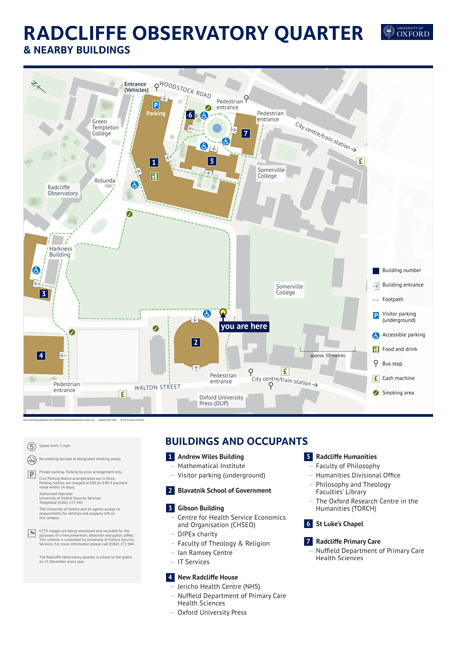 Unlike the University’s new print maps, these maps are for wayfinding. Features include access routes, building entrances, accessible parking, bus stops and cash points. The on-site maps are heads-up/user-oriented ‘you are here’ maps. The A4 map is in colour, greyscale and high contrast. 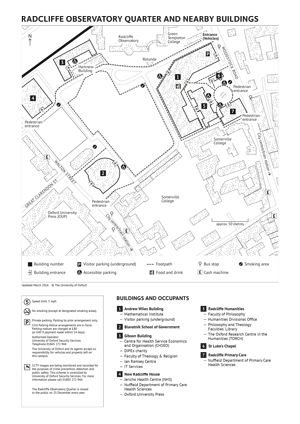 The A4 map is for general printing and visitor information packs. 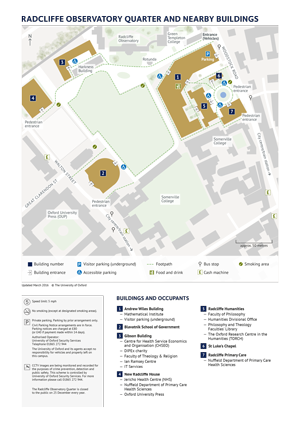 The maps follow best practice usability and legibility guidance on colour contrast and typography. Advice, site audits, design, map redrawing and layered artwork.